This Truyard CM95 is the mother of all chippers and its high strength 40 mulching blades makes this machine super efficient. It can mulch up to 95mm in diameter! Thats massive, meaning there is almost nothing in your backyard this muncher cannot tackle. The Honda GX390 engine really rounds this machine off nicely being powered by a superior Honda 4 stroke engine. Power, durability and reliability underpins Honda products and their GX390 engine is no exception. 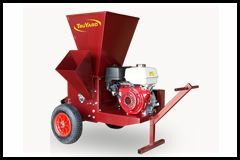 If your after a large, strong commercial grade chipper then this Truyard CM95 is the machine for you. 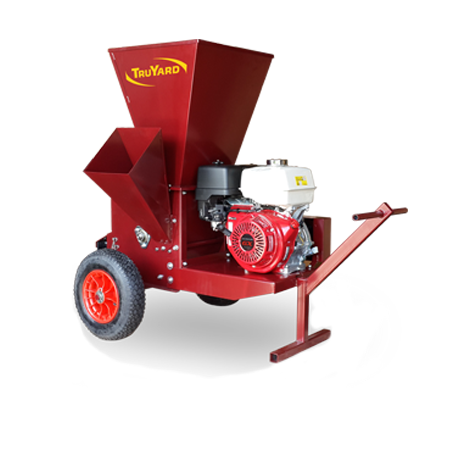 The large hopper lets you feed a huge amount of waste at once, saving you time and effort. Nothing shouts reliability more than a 4 stroke Honda engine and thats exactly what is powering this mammoth CM95 chipper. Years of four stroke technology has seen Honda produce arguably the best small engine on the market giving you a product that you can trust day in day out. This huge chipper has the ability to mulch 95mm in diameter meaning there is almost nothing in a backyard that this thing can't tackle.